MSNBC Interview Turns Into Big Bass Fun! Last week I had the pleasure of doing an interview for MSNBC, with a show called “Caught on Camera” that will feature a segment on my Goose attack blooper that just doesn’t seem to go away! 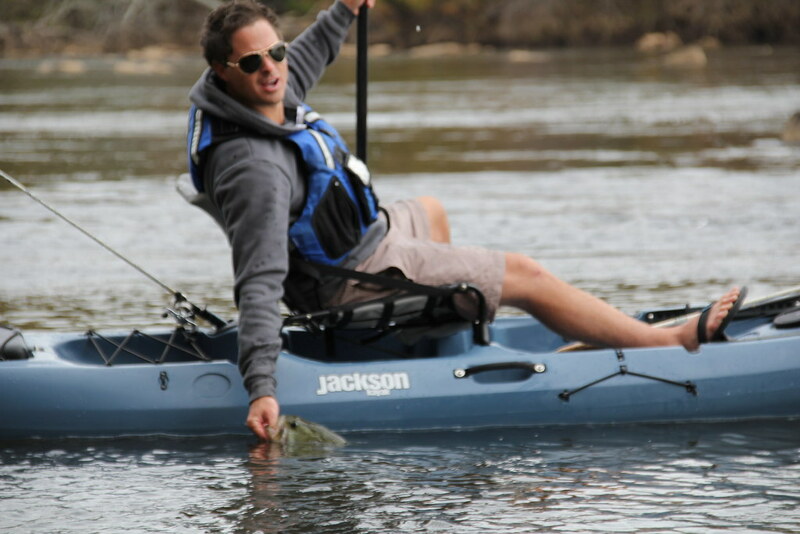 I have fun with it, so it’s actually a good thing and the media attention this has gotten has actually been great exposure for kayak fishing, and what we at Jackson Kayak are doing within the sport. If somehow you haven’t seen this video, that has just about aired everywhere nationally and globally, then watch it here on youtube before reading any further. The day was going well and we were ahead of schedule, having already knocked the main interview. All that was left was for me to paddle and fish around a little bit so they could get some B-roll of me in the Coosa. So I am just piddling around for 5 minutes or so, ya know, just trying to look cool and make some casts when all of the sudden it was “fish on!” I couldn’t believe it! I mean, usually the river access locations are not the places to catch the best fish, and especially not a big one of this size! The crew cheered me on as the fish had me doing circles in the Coosa trying to keep up with it! To someone who has never seen a person stand up in a kayak to battle a big bass, I probably looked like I was trying to do some ancient tribal rain dance, but I assure you I was just trying to get this big girl to hand! Finally, after making one awesome jump between myself and the camera crew, she gave in and I got her! I laid back in the Coosa elite seat and let out the biggest sigh of relief and looked over at the crew laughing at what they had just witnessed. Usually when the camera is rolling it seems to jinx the fishing, but for some reason it is the opposite with MSNBC’s cameras! I need to see if they can go fishing with me all the time! Fortunately for me, fellow team member Brooks Beatty was on hand to take a few photos of me bring the fish closer to the crew for some close up shots of the fish. To see all the photos from the day view the slide show below. 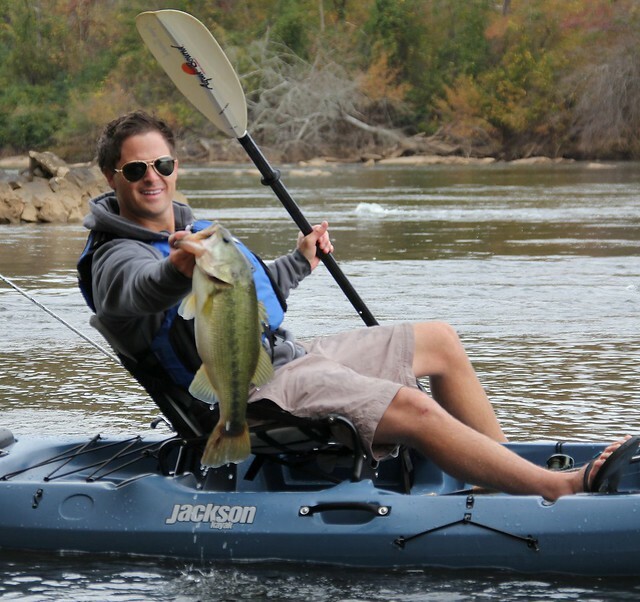 ← Kayak Fishing – 501c3 Style!